Yeah, I saw it. The funny thing is that if it ends up being the Mormons, everybody else will end up pretty well-off, too. If the fundies end up being right, they're the only ones who will make the cut. If the Mormons have it right, I'm gonna need to increase my liquor consumption A LOT. Hope I can find a warm place in the Telestial Kingdom.... maybe I'll organize a revolt and turn it into the first Telestial Republic. 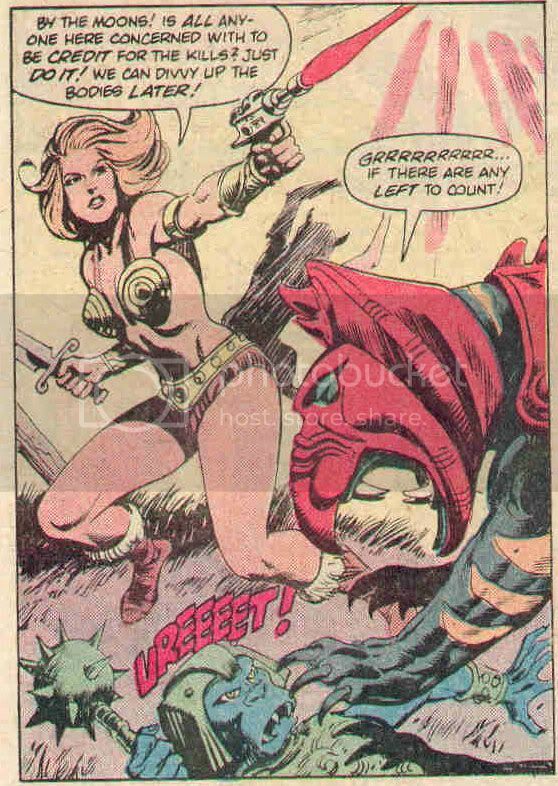 Maybe Teela will be there? Mmmmmm.... Is polygamy a thing in the lower kingdoms too? At first this sounded like a terrible idea but now I do have to admit, Mormon hell is the absolute best hell in all organized religion. cannot be all of the above, he is either love or he is vengeful...kind of like humans being selfish haters or caring for the least of them, we cannot be both..
Now let us look at "Jealous"
It does not mean what we do when we say a man is jealous of attention paid to his girl friend or wife. † aN"q; adj. jealous; — only of God: aN"q; lae Ex 20:5 (J) = Dt 5:9 (as punishing those who hate him), Ex 34:14 (J), Dt 4:24 6:15 (demanding exclusive service) ; Amv. aN"q; Ex 34:14 (J). God is not jealous of others, it is care and concern for His name and his relationship with those who love Him. It is not a negative except towards those who diss his name or people. It is interest towards those who truly love Him and ... obey Him. TWOT Hebrew Lexicon: the divine action accomplished with "Jealousy" may result in good and salvation. Thus this arduous love effected the return (Isa 42:13). The restoration of Israel does not, however, exhaust God's gracious activities in behalf of his people. He will effect their salvation (the restitution of a perfect relationship between himself and his creatures), which they lost in father Adam, by a second Adam-Immanuel (Isa 9:7 [H 6]). Furthermore, the return from the exile foreshadowed an even greater event God's creating and choosing a perfect bride through his Servant (Isa 42:13). God's jealousy when offended issued in just retribution, but when stirred by his grace it resulted in eternal love. Hence, the church is called the bride of Christ. It is now being perfectly prepared and preserved for the wedding. God expects man to return his love. Love, however, is not simply an emotion. It is a structured relationship. To love God is to obey him. So the word is used to denote a passionate, consuming "zeal" focused on God that results in the doing of his will and the maintaining of his honor in the face of the ungodly acts of men and nations. Phinehas, Elijah and Jehu are particular examples of this zeal (TWNT, II, p. 878). Saul (2Sam 21:2) and Jehu (2Kings 10:16) were prompted by their ardent zeal Jealousy) for God to commit acts violating his commands. Thus, they stirred the wrath of God who is jealous for his name (Ezek 39:25) - that it be vindicated by the keeping of the whole law (Deut 29:20 [H 19]). The godly (esp. Messiah) are consumed, therefore, by an ardour jealousy) to exalt God by maintaining purity of worship (Psa 69:9 [H 10]), and purity of obedience respecting the whole of God's word (Psa 119:139). It is a positive towards those who truly love and obey Him. Careful if you marry a second wife that first one may use her ray gun on you. She doesn't look like a woman who would tolerate anyone taking what was hers. I figured this would be your reply. the problem is that you are using the words in English that do not adequately indicate what is meant. To start the word Love/agape is a principled love not an all encompassing/unlimited/unconditional love. I. of persons, to treat with affection, to caress, love, be fond of, c.
It is fondness, affection, long for, based on an evaluation, to show love not just claim it and it requires prompt obedience when we speak of loving God. KJV 1 John 5:3 For this is the love of God, that we keep his commandments: and his commandments are not grievous. Love towards others mean making them aware of how they can be ,loved by god and show such love in return. It is to their advantage:God gives us commands for our benefit and in love actually begs us to listen and obey. The love many claim to have/show is not agape love of or for God, but a selfish love for their own desires or the desires of others that drive them away from God. That is not real love. The indoctrination is strong in this one. It is very characteristic of JW's. Sad really. Any connection with God is blocked by reams of doctrine and dogma accumulated over decades of indoctrination. Christ abides with us as the Comforter sent in His name to guide us to the truth God has "written in our hearts." But the JW's override any and every legitimate inner guidance with reams and reams of doctrine and dogma derived from the words "written in ink." Satan himself could not have devised a better barrier to knowing and understanding God. God IS agape love and as His children that is what we are to become . . . as much as possible in this life, period. Obedience is for primitives and pets . . . not maturing children who learn the true Spirit behind the original obedience to the letter. Thanks for taking Christ's message of UNCONDITIONAL LOVE and making it one of FEAR and OPPRESSION. where burnt offerings represent the ultimate in obedience and servitude..
Of course. It's so obvious. You should write all of this down in a book and teach it to future generations, since it's THE TRUTH. And your response is typical of those who like Eve want it their way. Ignoring the same words Jesus endorsed and live by. I think he knows more about God's love than anyone here. Those who have God's spirit know the words Jesus endorsed are true. Thanks for showing you have no understanding of God's love. It is not unconditional. No fear or oppression as those are just words to turn people away from what is true. Kinda like Satan did with Eve. Again you add he does not require "Obedience"when he does and you then add servitude as a negative word, when we are to serve Him and our neighbor out of love. After all that is what Jesus did and he is our prime example. Then you twist verses that have nothing to do with "obedience" for Christians as that law ended when Christ gave the ultimate sacrifice. Jesus did the ultimate, God only asks of us what is good for us and by obeying He is shown to be loved and we experience His love in the best life possible. Hosea shows that knowledge is critical not just a sacrifice based on a law. Knowledge moves us to obey God as Jesus did. This is God's justice in that He only asks of us what we can do and even if we fail he forgives us IF we "humble" ourselves, change and continue to obey for .... our own ultimate good. Micah 6:8 8 He hath shewed thee, O man, what is good; and what doth the LORD require of thee, but to do justly, and to love mercy, and to walk humbly with thy God? Each of these show willing obedience to His directives. He shows us and we show Him what we are like. Follow His directions or man's. It is so clear to anyone who reads it in context and is trying to learn God's will, not just use it to diss God's love towards man. Jesus does know more about God than the OT morons did and He revealed God's TRUE NATURE unambiguously as agape love. You have tried to merge the primitive and barbaric nonsense about God from the OT with the truth about God Jesus revealed. It cannot be done and only corrupts Christ's Gospel of love and reconciliation with barbaric blood sacrifices to appease God's, wrath and vengeance. It is a travesty of ancient ignorance writ large! God forgive you all for your denigration of agape love in favor of your "precepts and doctrines of men." Tell us, Freak, what is it that you have a problem with exactly ... maturing beyond the need to rely on a book (or religious organization) to tell you what is good and bad, right and wrong?